My business so heavily relies on the power of cloud computing that it’s hard for me to imagine how we would conduct ourselves without such systems, but many businesses view the cloud as having arbitrary technological value or will openly admit it confuses them. The concept of a digital network of data is daunting, but as there are more advancements in the applications for the cloud, businesses will begin to understand it with better clarity. Over the next two years, cloud computing is poised to undergo massive growth, due to a number of trends in the technology sphere. The Internet of Things was initially seen as a way to tie physical objects into the cloud and gain more tangible functionality. Nest, a smart thermostat system that’s one of several smart home upgrades featured in my humble abode, uses cloud computing to analyze and respond to heating and cooling trends based on how I live in my own home. The product has substantially lowered my gas and electric bills and makes me feel like I’m doing some small part toward reducing consumption and thinking greener. This is one example of IoT tech that brings real-life cloud functionality to consumers in a sleek product design. And while some IoT devices are bringing a new level of convenience to consumers across the globe, the Internet of Things movement has stagnated because it does not ultimately offer enough functionality. People have realized they can’t just stick a sensor on anything and expect the cloud to make it better. What’s more, recent headlines about security risks and the accessibility of network-enabled devices for hackers has led many consumers to hesitate in purchasing the technology; while I’m a personal fan of the smart home, many of my technophile friends refuse to outfit their houses with smart assistants and IoT devices for fear of “Big Brother” scenarios playing out in their living rooms. For these reasons, many companies have begun to focus more on the back-end of cloud computing. Due to the decentralized aspect of cloud computing, the blockchain movement has offered major opportunities in cloud development. A number of companies are attempting to do things such as bring servers into the cloud and enable better data analysis in the cloud; I’ve kept a close eye on blockchain applications ranging from revolutionizing the nonprofit sphere to trading digital pets a’la the 1990s, and almost all of them are experiencing explosive growth. Since crypto offers powerful tools to regulate economic systems in a decentralized manner, it makes sense that over the next two years, it will be one of the major forces for cloud computing. One of the big things to watch for with crypto is the growth of Ethereum, which is a central protocol that enables ICOs to be launched. As Ethereum grows larger and as more cloud-related ICOs occur, there will be more advancement within the space. Some of the biggest applications of blockchain for cloud computing will be related to cryptographically securing data from third parties. Photon Network is one example of an ICO that is revolutionizing the cloud computing space. According to their website, server networks on their decentralized system are able to achieve over 80 percent efficiency, whereas standard server farms have around 15 percent efficiency on average. The massive hardware developments in quantum computing make it likely that the efficiency of computers will increase dramatically in the coming years. Quantum computing will allow computers and servers to process information at unfathomably rapid rates compared to current standards. Since the cloud is reliant on speedy network systems that do not get backlogged, this increase in efficiency will generally increase the value of cloud computing. Additionally, since many people have concerns about the rate at which servers are currently consuming energy, quantum computing will be necessary in order to increase our reliance on the cloud while limiting energy consumption. If blockchain is meant to power much of the cloud, this will be even more important, since processing blockchain transactions can consume massive amounts of computing power and electricity. One of the most compelling aspects of cloud development is its potential to affect positive change environmentally, economically, and socially; from the blockchain revolution to the Nest system I use to lower my monthly energy bills, cloud-based computing is generating real results. Machine learning is a process by which computers can measure their performance against a certain metric and adjust their actions based on improving that metric. These algorithms can be quite complex, and it has taken a while for development to reach a reasonable level. For the cloud, these algorithms can be most beneficial for ensuring stable network connections and preventing websites from crashing. In years past, it was common for phone calls to get dropped and websites to load slowly, but machine-learning technology has dramatically improved the quality of the technology. With more advancements in algorithms and machine learning, cloud computing is likely to become even better and offer higher-quality user experiences and greater efficiency all around. It will take more than just two years for cloud computing to reach its full potential, but during this time of growth and development there will likely be a surge in the value the industry offers. As more and more things transition to the cloud and businesses are able to pass off much of their digital infrastructure to other players, the world will become easier to navigate. Whether you’re a major industry player working to improve your bottom line or an Average Joe trying to make your everyday life more convenient with a network-enabled smart assistant like Alexa, cloud-based computing is going to continue to change the game for you in the years to come. I, for one, will be investing in cloud-based computing applications, especially as they pertain to potential blockchain applications, in the next couple of years. 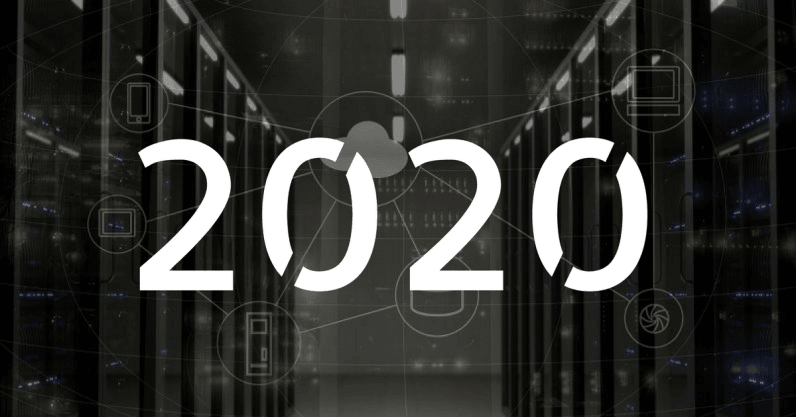 What cloud-based technology are you most excited to see explode in the next two years?